We offer multiple private dining options to fit your needs. 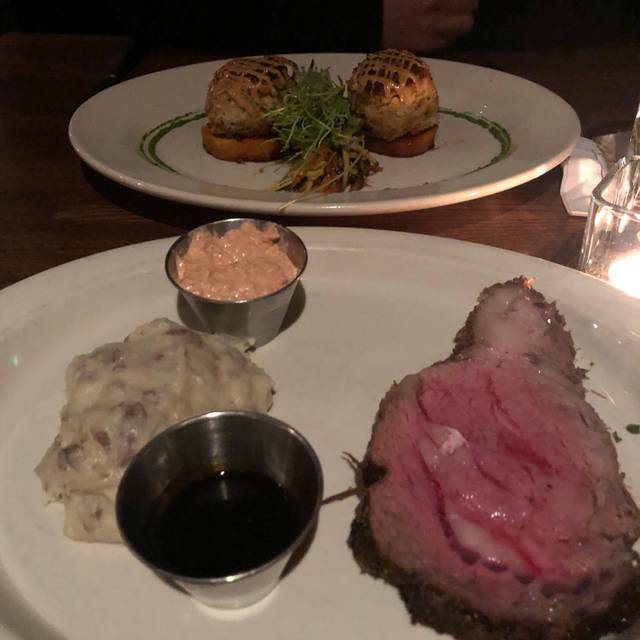 KC Prime of Warrington is an upscale steakhouse located in Bucks Co., PA. We provide our guests with an unparalleled dining and service experience. We offer a wide range of dining options from small romantic booths to large private banquet rooms and patio seating. Offering over 50 premium wines by the glass, 12 draft beers, and dozens of whiskeys, KC Prime's bar offers a selection to peak anyone's interest. 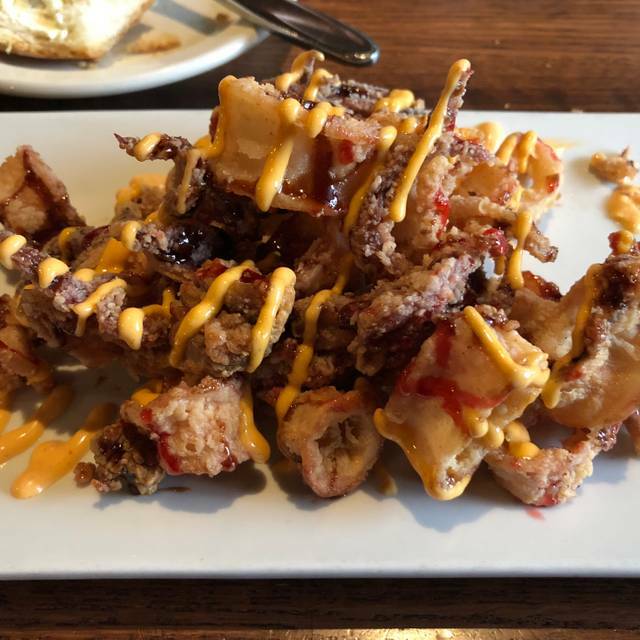 We love KC Prime, the food is always fantastic, this is our go to restaurant. Delicious dinner! Excellent service! We were celebrating our 49th Wedding Anniversary and they surprised us with a delicious piece of cheesecake with a candle! So thoughtful! I love KC Prime. We always go whenever we can. The food is outstanding and the wait staff is friendly. Food always consistent, high quality and cooked to order, as specified. Staff always attentive and accommodating. 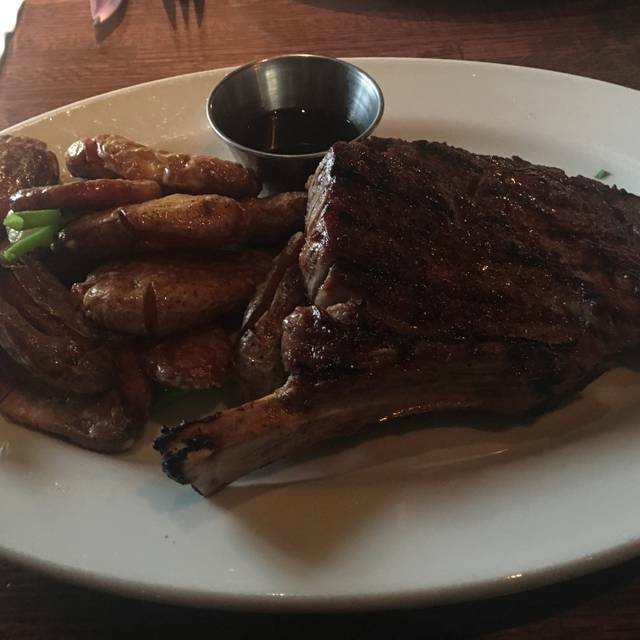 KC Prime Warrington is our "go-to" high-end steak resource where we dine at least a every couple/few weeks. 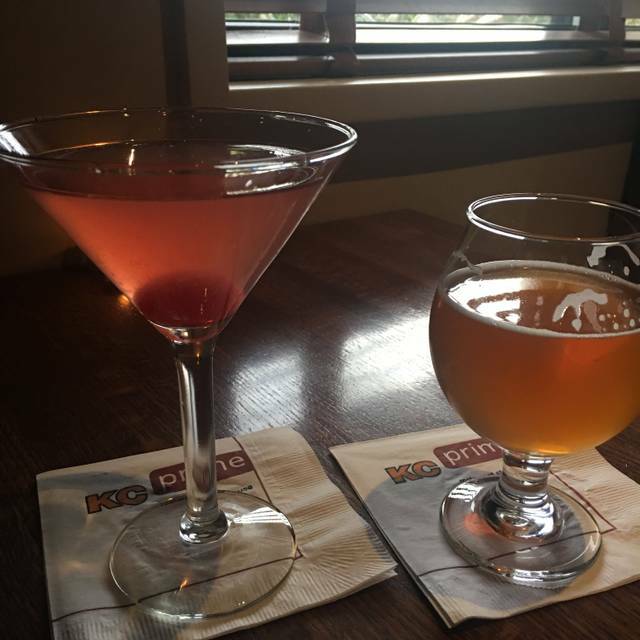 My husband and I ordered the 8 oz. Filet. Both steaks were dry and served to us barely warm. I said something to the manager and he said he was sorry and offered to give me a "hot" side dish of the sweet potatoes. Very strange as he should have replaced both steaks!! The house salad before the meal was average. At the present time, you have to request the salad or they dont serve it to you. On the positive side, It was our wedding anniversary and they made us feel special by offering us a free round of drinks and giving us a free dessert to share. We will return, however we will not be ordering a steak. First time experience what very good; we will return! Our waiter Bryan was extremely efficient, pleasant and helpful. He made our dining experience very enjoyable! Our dinner was to celebrate my wife's birthday and everything went great until the end when instead of bringing out the cake that I had previously delivered two hours before we arrived - the waiter brought out a dessert with a candle in it. The waiter was embarrassed and it ruined the entire night as I had to ask for the cake and it then became an apparent scramble to figure out what happened to the cake. 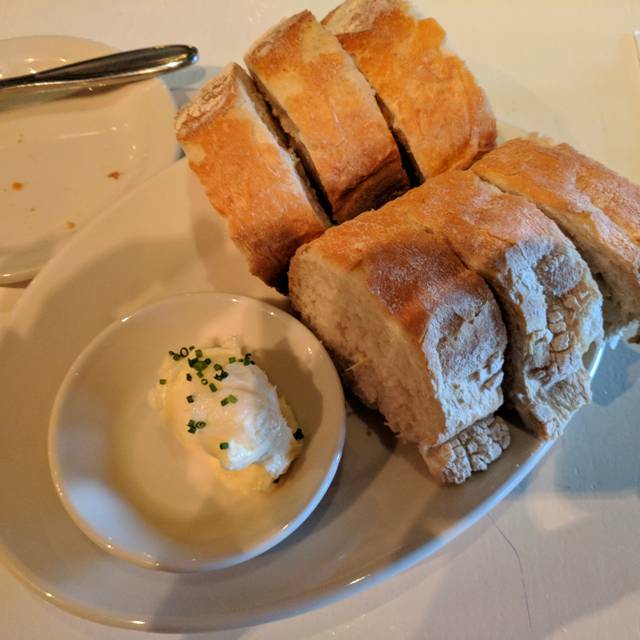 I called to ask if we could bring a cake, I then brought the cake and verified my dinner time and everyone was on board but the cake did not arrive - very disappointing... Food was great and Miles our waiter was absolutely fantastic. very good! Always enjoy our experience at K C Prime. Food was excellent. Service was horrible. Server disappeared after taking our order and never showed up again. Never checked on us to see how food was or if we needed anything. Flagged down a bus boy to get refills on drinks and had to flag down the manager to get our check and pay 25 minutes after we were finished. Long time customer. Thoroughly enjoy dining at this restaurant. Neighborhood gem. Owners and staff and very attentive and food is great. Highly recommended. Food was just ok. Drinks were average. It took a little longer than expected for our food to come out. Also, the time it took for our waiter to check in about boxing our food and offering dessert took longer than expected as well. Our reservation was for 5:30 and we did not leave until 7:30. Being that we had a baby with us, 2 hours was a bit lengthy. Great food and amazing cocktails made by the best bartenders !!!! The food was delicious. We were seated quickly. The restaurant was not too loud. My husbands steak was undercooked. They brought it back to the kitchen and returned it 25 minutes later after everyone had finished their meal. Very disappointed in that. Food was great though. Ambiance was nice. Waitress was attentive except this situation. 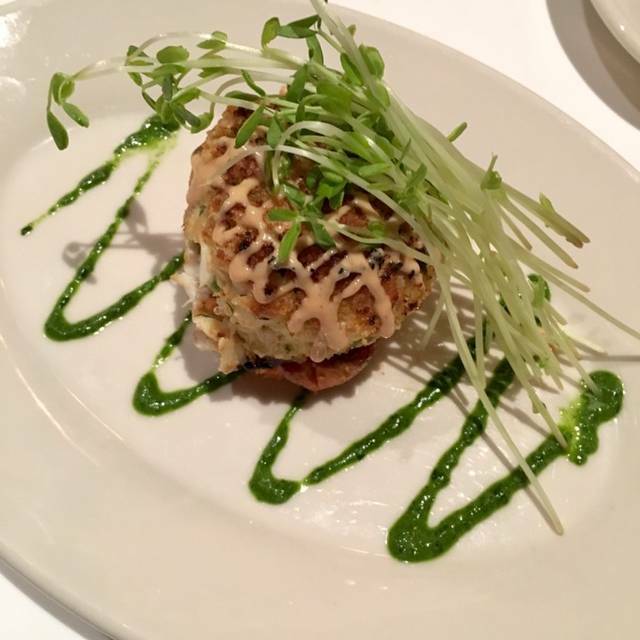 We frequent KC Prime because of their ability and willingness to accommodate my food allergies & limitations. The staff is knowledgeable, friendly, competent and always eager to please. The food is plentiful, varied and very tasty. 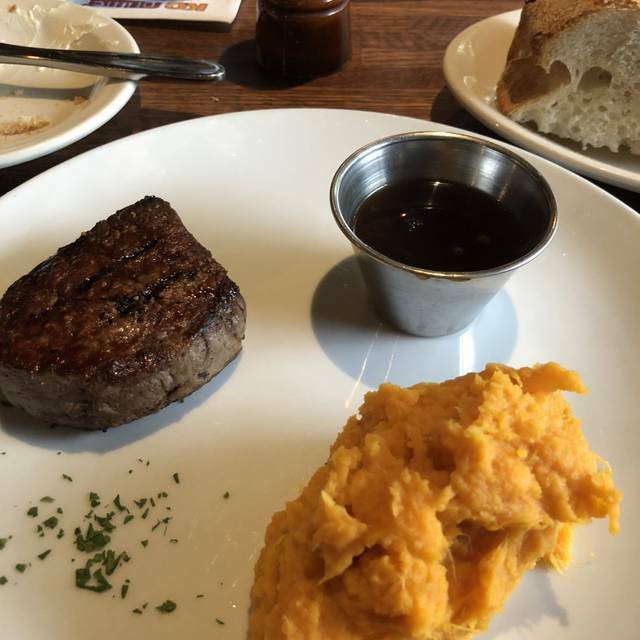 We’re so grateful to have such a high quality steakhouse in close proximity to where we live. One of the best dinners we've had in a long time. Service is outstanding and the atmosphere is really nice. Enjoyable night... We will be back!! We went to KC Prime for our anniversary. We got the calamari and Caesar salad for appetizer which were both great. They have big portions, enough to share. For entrees we got the KC burger and mushroom risotto. The seasoning was great and the burger was cooked to perfection. We got the cinnamon bun with vanilla ice cream on top and carame glaze. It was not very good. The cinnamon bun tasted like pillsbury. The service and ambience were excellent. Our server was prompt and knew appropriate recommendations for wine selection. Other than the dessert being mediocre at best, we had a great experience. The bar was exceptionally crowded and noisy. My husband was VERY Happy to see a whiskey on happy hour drink menu. Porterhouse special was over cooked and expensive. I’ll stick to filet in the future. Restaurant was very nice, food was excellent, service was outstanding. The only issue my group had was the size of the table as we like to order and share. Overall very good. Will be back. Waiter was great. Food good. But probably the 40 oz steak was not worth it. Rare steak came medium, so we asked for new filet. Second steak cooked correctly. No credit given for inconvenience. Great Food! If you're a steak lover, this is a must go-to!! Always a wonderful meal. Our server was excellent, attentive and friendly. Bar was quite busy and drinks took longer than normal to get to us while we were waiting for our dinner table. No prime rib left at 6PM on a Sunday. I ordered the special a bone-in steak. Told our waiter it has to be very red inside. It came out slightly pink and tough. He wanted to take it back, I said no. Did not want him get in any trouble ( some chefs believe it's the servers fault when it's over done.) So, I just took it home and my grandson cooked it a little more and ate it. Never going back to that KC Prime. The one in New Jersey has a better atmosphere. Food is done better. Resposado Margarita one of the best ever. Not sure who decorated and designed this restaurant. Really does not feel like a high end steak restaurant; like a Morton's, Barclay Prime, Capital Grill. More like a diner with booths...awful look and feel. But food great. Drink service very slow. Food makes up for it all! My husband and I are accustomed to fine dining. So when we went to KC Prime, I wasn't sure about the menu. I selected the small filet and was a bit disappointed. It was not that delicious beef flavor, but rather beefy/bloody tasting, and I ordered it medium. It was tender, but I've had better. Some of the others who dined with us did like their food---the burger, I think there maybe was a Ribeye. Worth keeping on the list but perhaps something other than filet.